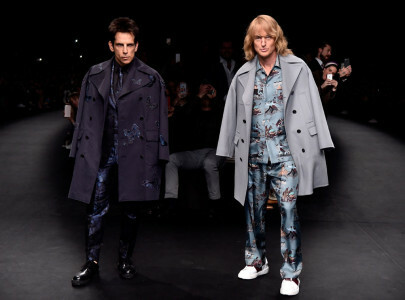 Ben Stiller and Owen Wilson crashed the Valentino fashion show at Paris Fashion Week last night to announce the release date for their Zoolander sequel Zoolander 2. And, of course, they were “really, really, ridiculously good looking”. Zoolander 2 had already been announced with Penelope Cruz joining the reformed cast of Stiller, Wilson and Will Ferrell. Stiller has disclosed that the story will center around how much the fashion industry has changed since Zoolander and Hansel battled it out for the catwalk in 2001, and that the sequel will be released worldwide on the 12th of February 2016.